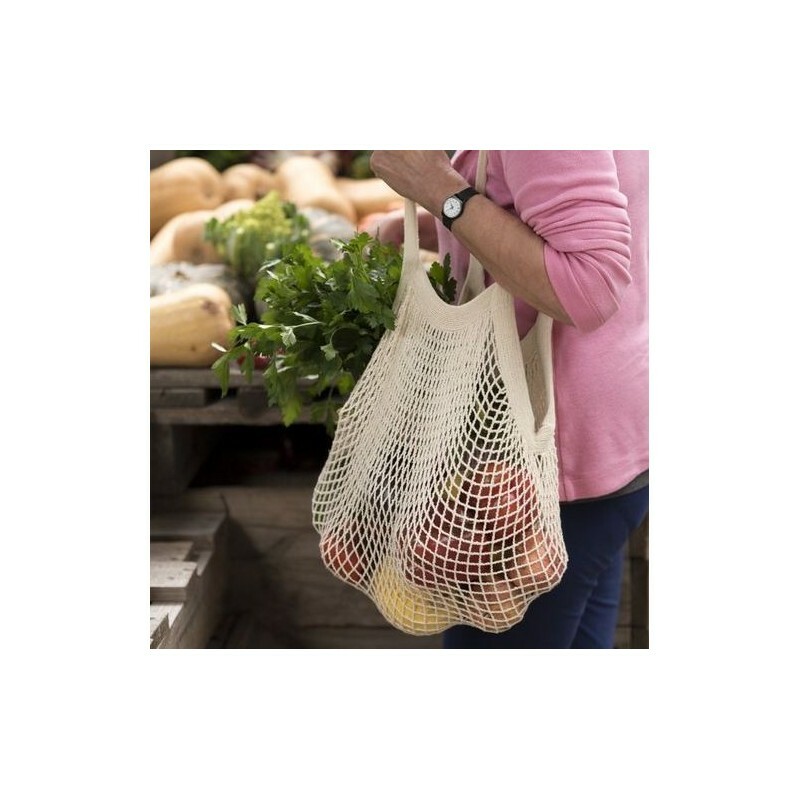 A lightweight organic cotton string bag that's perfect for grocery shopping and storing produce. Big enough for a trip to the local markets or as a day bag when you're out and about. Have a zero-waste shopping solution with you at all times as it can easily fit into your bag. One string bag. This bag is compliant with the Global Organic Textile Standard, which ensures organic status of textiles, environmentally and socially-responsible manufacturing, and labelling for consumers. This bag also supports the FSC (Forest Stewardship Council), who ensure forests are managed responsibly for the animals, plants, workers, indigenous groups, and local communities that call them home. Using reusable bags instead of plastic bags means less plastic ends in landfill. Being 100% organic cotton, this bag can be composted, meaning it's a zero-waste product. 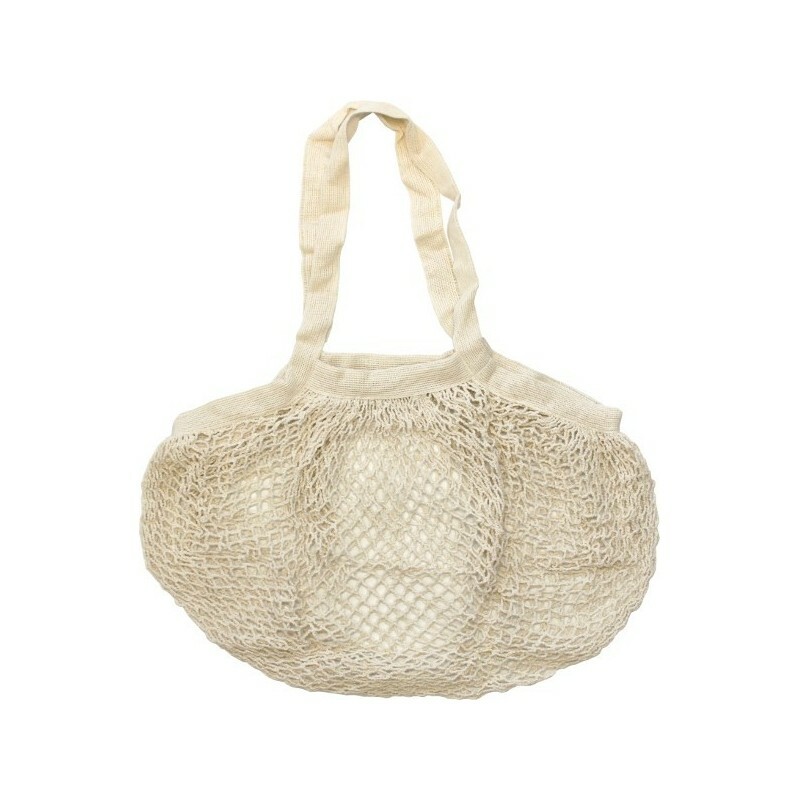 100% organic cotton mesh bag that is perfect for carrying produce and other groceries. Is a washable, reusable and sustainable option. Keeps produce fresher for longer (in the pantry and fridge). Browse all of our reusable produce bags. 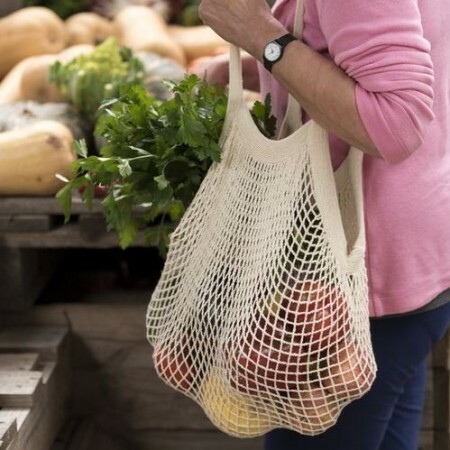 An awesome, sustainable shopping bag! The bag is a good size, makes refusing plastic bags super easy. The quality of the material makes for a sturdy, long lasting shopping bag. Also great for picnics and travelling. It's lightweight and fits into your handbag without taking up much space at all! Makes shopping super easy. It's really compact when folded and I carry it in my everyday bag which is tiny.